President Donald Trump traveled to the American state of Wisconsin last week to attend a groundbreaking ceremony for a factory. The factory is being built in an old farming community called Mount Pleasant. The Taiwan-based technology company Foxconn Technology Group will use the plant. 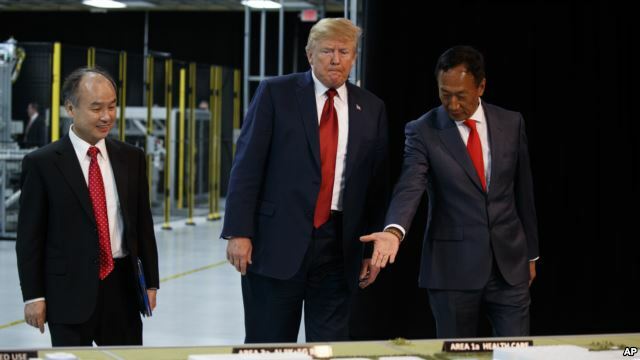 Trump joined Foxconn President Terry Gou, Wisconsin Governor Scott Walker and other officials at the ceremony on Thursday. Many people expressed hope that the $10 billion project will help the state’s economy. 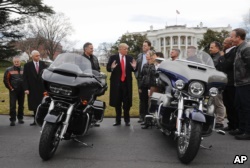 The president’s visit came as he criticized Harley-Davidson, one of Wisconsin’s leading manufacturers. The company recently said it will move some of its production overseas because of a European Union (EU) decision. EU officials announced plans for a 31 percent tariff on motorcycles made in the United States. The EU said it approved the new tax to answer Trump’s decision to place tariffs on foreign-made aluminum and steel. The Harley-Davidson announcement angered the president. Trump expressed his displeasure on the Twitter social messaging service. 'Harley-Davidson should stay 100% in America, with the people that got you your success…I’ve done so much for you, and then this. Other companies are coming back where they belong! We won’t forget, and neither will your customers or your now very HAPPY competitors!' Trump wrote. Harley-Davidson had no immediate comment on the president’s tweets. Phil Levy says other U.S. companies are likely to follow Harley’s lead and move some of their operations overseas. Levy is with the Kellogg School of Management at Northwestern University in Illinois. “We are likely to see more such business moves as the administration expands its protectionist policies,” Levy said. He added that Harley-Davidson has little choice but to move with market conditions. In Wisconsin, many people think raising taxes on steel and aluminum imports will hurt the state. One study last week found that more than half of those questioned – 55 percent – feel this way. Only 29 percent think the tariffs will help the economy. The Marquette University Law School reported the findings. “The state pretty solidly is doubtful about tariffs,” said Charles Franklin, director of the Marquette Law School survey. Last July, Trump stood with Wisconsin Congressman Paul Ryan to announce Foxconn’s decision to build the huge plant in the state. Ryan is speaker of the U.S. House of Representatives. The factory is being built in his home district. The deal included more than $4 billion in tax breaks from state and local governments. Foxconn promised to create more than 13,000 jobs. It said the average worker would earn about $50,000 a year. Governor Walker and other politicians have said they hope Foxconn will create a high-tech center much like California’s Silicon Valley. However, a local newspaper, The Sentinel Journal, recently reported that Foxconn has changed its plans for the factory. It said the company had promised a “Gen 10.5” factory, a term for a factory that creates large television screens from large pieces of glass. Instead, the company admitted it is building a “Gen 6” factory, a much smaller and less costly plant that uses smaller pieces of glass. Foxconn said it still plans to build a “Gen 10.5” factory in the coming years. Tim Sheehy, president of the Metropolitan Milwaukee Association of Commerce, continues to support the deal. 'What Wisconsin can control here is the ability to take a step forward in transforming our economy with an investment in one of the best digital technology players in the world,” he said. 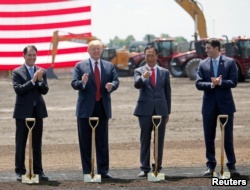 President Donald Trump, along with Terry Gou, founder and chairman of Foxconn, and Speaker of the House Paul Ryan, participate in the Foxconn Technology Group groundbreaking ceremony for its LCD manufacturing campus, in Mount Pleasant, Wisconsin, U.S. The deal between Wisconsin and Foxconn involves a lot of money. The company was promised $764 million in local subsidies and a $140 million electric-power expansion paid for by power company customers. It was also promised road improvements worth about $100 million and $3 billion in state tax credits. That $3 billion will end up being money paid to Foxconn since Wisconsin requires no taxes on manufacturing profits. State taxpayers could be paying about 13% of the cost of the factory project and 17% of the wages for Foxconn’s Wisconsin employees through 2032. The jobs subsidy amount is equal to more than $200,000 per job. Trump’s support for Foxconn and anger at Harley-Davidson has put Scott Walker in a difficult position. How can the Wisconsin governor continue to work with motorcycle manufacturer without appearing to contradict the president? Walker, who owns a 2003 Harley-Davidson Road King, released a statement last week. “Governor Walker believes there should be no tariffs or trade barriers as the president stated earlier this month at the G7 summit,” it read. 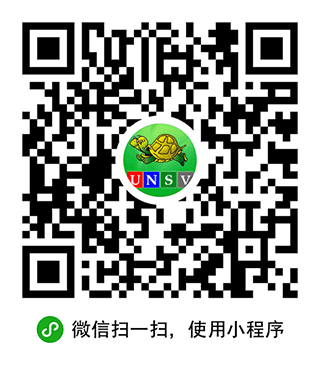 Susan Shand wrote this story for Learning English. George Grow was the editor.